Crystals can be very powerful. Crystals, like all things, have an energy field - aura - and their different energies can be used to balance/enhance our own body's energies. 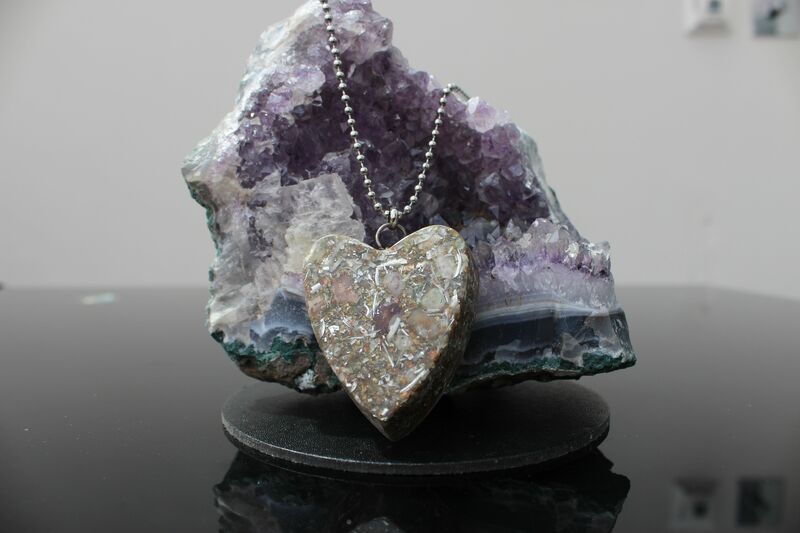 The use of Colour/Crystal as a Therapy is a truly holistic, non-invasive and powerful therapy which dates back thousands of years; evidence of this can be found in ancient texts from India, China and Egypt. Colour is simply light of varying wavelengths and, as such, is a form of energy that is used in Colour Therapy. This light energy Used in the right way may have a profound and amazing effect. It is a well know scientific fact that everything has a vibration, which is to say that all things have their own vibration/frequency, and that includes US! Each of my devices have been designed with the above theory in mind, each device serves its own purpose. In order to maintain the correct balance in each device I first needed to work out what colours radiate out of the metals within the device, the properties of the crystals and each colour brings. 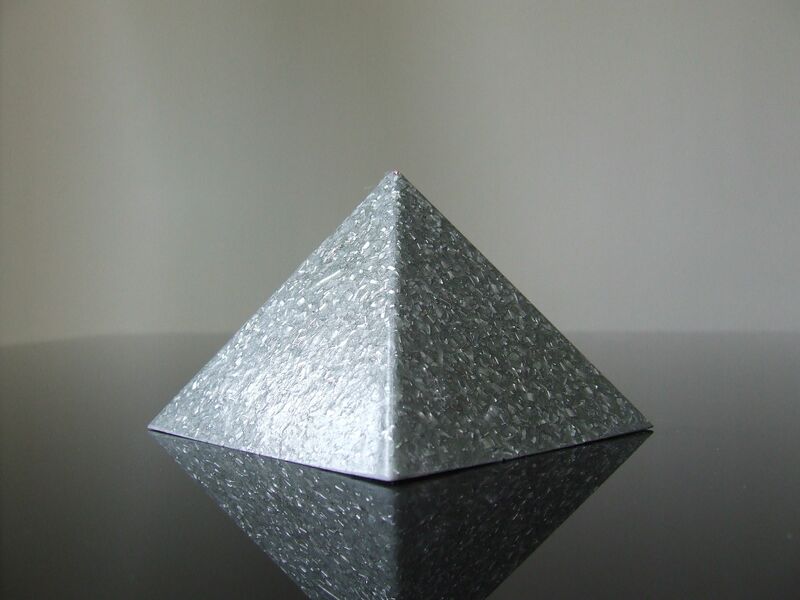 My devices have been designed by Colour, Crystal and Orgone Therapy. I concluded that doing this amplified the properties of the devices tenfold. As an example of how I decide what colour and crystals I use I will show you my Radiation Protection device's ingredients. I started with the colour so I chose black because if you look at the properties for the colour black on the list below you will see that it’s a very good colour to absorb negative energy and it’s a protective colour, I then chose the following crystals because they also are very good at protection and absorbing radiation Rutilated Quartz, Ruby, Black Tourmaline, Ametrine, Topaz, Mookaite, Red Pyrope Garnet, Serpintine, Turquoise, Lapis lazuli & Shungite. Please see below the list of my extensive research on crystals I use in my Orgone devices, the research and correct combinations has taken years to complete. Black: Protection, Absorbs Negativity, Shielding, Camouflage. Brown: Animal Healing, Earth Healing, Earth Connection, Grounding, Earthing, Tree Wisdom. White: Protection, Angels, Purity, And Spiritual Clarity. Purple: Magical Ability, Manifestation, Creation, Alchemy, High Spirituality, Third-eye Awareness, Spiritual Wisdom. Silver: Goddess Energy, Lunar Energy, Star Energy. Black Tourmaline: Ancient Healing Stone, Teller Stone, Shamans Powerful healing and Protection Stone, Activates/Clears Chakras, Balances ying/Yang, Synchronises Left and Right Brain, Repels Negativity, Shields Radiation, Powerful protection against electro-magnetic fields (EMF's), Astral projection amplification and Leo. Black Obsidian: Scrying, Future Insight, Creativity & Capricorn. Blue Lace Agate: Spirituality Meditation, Higher Awareness Communication, Gemini. Herkimer Diamond: Stone of Dreams, Astral Travel, Remembering dreams, Attunement to another, Stimulates Clairvoyant Ability, Telepathic Communications, Protection from Radiation, Stores information, Clears Chakra & Sagittarius. Ruby: Rebuilding Body, Immediate Energy, Brings Love, Mix with Green or Blue stone to reduce its power, Psychic Attack Protection, Positive dreams, Enlightenment, Wisdom, Passion, Romance, Devotion, Cancer & Leo. Merlinite: Magical Stone, Perfect for a Magician or Priest and workers of Magic especially those accessing Akashic Records, Past Life Healing, Balances Energies, Intuition. Sunstone: Meditation, Good Luck, Vitality, Connect with Inner source of Light and Spirituality, Connect with the power of The Sun, Clears energies Chakra, Leo and Libra. Opalite: Healing, Connect with Angels and Spirits. Orange Calcite: Protection when worn, Increases energy, increase vitality, improves functions of Liver, Kidney & Spleen. Labradorite: Very High Vibrations, Protect Aura, Protects from Energy leaks, Helps move through Ascension, Held during Radionics Analysis, Pendulum, Mental Clarity. Ametrine: Enhancing Stone, Energising, and Higher states of Consciousness, Meditation, Inner peace, Tranquillity, Money, Weight Loss, Pain Relief, and Sorcery Protection & Libra. Topaz: Invisibility, Negative Magic Protection, Stimulates Creativity, Good for Writers, Artists, Symbol of Sun God, Good for Eyes, Nervous system, Intellect, Protection, Healing, Weight Loss, Sagittarius. Carnelian and Chalcedony: Only work together, stimulate each other, Creative Energy, Natural Talent Awakening, and Protects against Fear, Envy and Rage, Purifies Blood against Allergies & Virgo. Rhodonite: Taurus, Love, Content, Compassion, Grounding. Epidote: Calming, Illness Recovery Regeneration, Past Lives. Prehnite: Visualisation, Inner Knowledge, Meditation, Recall dreams, Feng Shui, Phobias, Nightmares & Kidney, Bladder & Connective Tissue Healing. Emerald: Enhance Memory Capacity, Intelligence, Brings Good Fortune, Gemini, Taurus & Aries. Mookaite: Stimulates contact with Deceased, Protective Stone, Meditation, and Emotional Protection & Leo. Red Jasper: Rain bringer, Problems Aid, Grounding Psychically and Emotionally, Base Chakra Blockage, Digestive and Sexual Issues. Yellow Jasper: Protective stone for people working with Spirits, Guard against Negativity, Depression, Channels Positive Energy and Stimulates Solar Plexus Chakra. Amazonite: Yin & Yang, Orgone Energy, Align heart and throat Chakra. Tiger Eye: Travellers Stone, Intuition, Psychic Development, Protection during Battle, Balancing Brain Hemispheres, Wealth Attraction, Increases Life Force/Orgone Energy within Body, Leo. Serpentine: Life Force Orgone Energy Enhancement, Crown Chakra, Meditation, Past Life Recall, Gemini and Guard against Reptiles. Red Pyrope Garnet: Protection, Guarding from all forms of Harm from Physical and Mental, Loyal Friendship and true Love. Heartburn, Sore throat, Blood Cleansing & they also help with the Heart, Lungs and Spine, Positive Vibrations, Energising, Speeds up healing, Rejuvenating Entire energy System, Infertility, Sterile, Cancer/Leo, Protection ward off Demons, Phantoms and Thieves. Chiastolite Cross: Talisman to Guard against Evil Eye, Stone of Devotion, Signifies Rebirth, Provides a bridge for Crossing Over, Protects against Alien Abduction. Iolite: Astral Projection, Visions, Eliminate Toxins, Taurus, Libra & Sagittarius. Kyanite: (already included select this to add extra) Never Needs Clearing or Charging, Attunes, Align Chakras especially 3rd Eye, Throat Chakra, Stimulates Communication and Psychic awareness on all levels. Aries, Libra & Taurus. 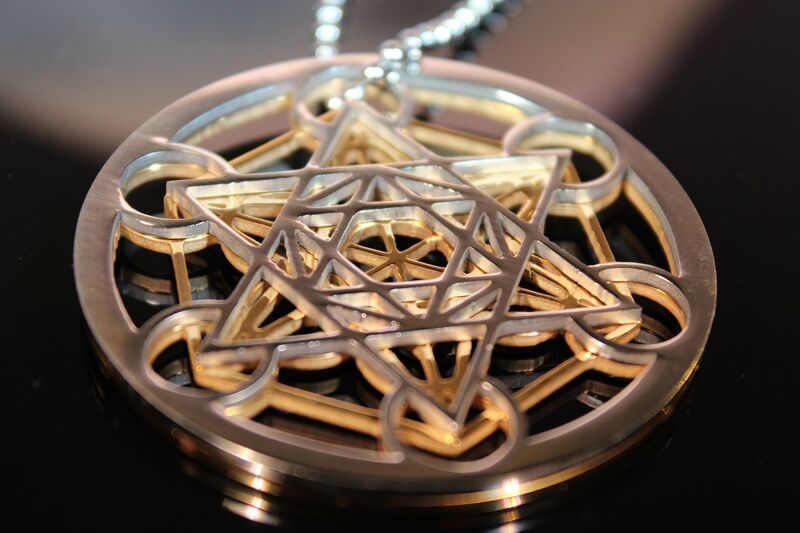 Pieterstite: Visions, Meditation, Align Energy Centres, Contains "keys to the Kingdom of Heaven" See True Beauty of Soul, Leo, Ascension of Gold, Kings and Queens. Lapis Lazuli: Astral Projection, Psychic Abilities awareness, Wisdom, Dream work, Insight to Understanding of dreams, Protection to its Owner, Eyesight, Sagittarius. Chrysocolla: Female stone, Removes Negativity, Purifies Home/Environment, Revitalises Mind, Body and Spirit, Taurus, Virgo and Gemini. Angelite: Astral travel, Telepathic Communication, Raises Consciousness, Dispels Anger, Represents Peace and Brotherhood, Psychic Healing, Opens pathways for Channelling and Aquarius. Apophylite: Forms in Natural Prisms Sacred Geometric Structure, Connects Physical and Spiritual world, Aids in recognition of Truth, Astral Travel, Lucid Dreaming, Connect of Spiritual body with Physical, Communication with Spirit world, Brightens Light, Reiki Attunement stone, Libra & Gemini. Moldavite: Space Stone, Meteor stone, Exceptionally High Vibration, Most powerful stone for energy work, Clears/Unblocks Chakras, Speeds up Spiritual Evolution, Connects Terrestrial to Extra Terrestrial dimensions, use in conjunction with Quartz, Amethyst, Rose Quartz, Smoky Quartz, Sugilite,Celestite, Diamonds, Lapis Lazuli, Opal and Phenacite. Amazonite: Gambling, Luck, Success & Money. Aquamarine: Enhance Psychic Powder, Protects from Danger. Azurite: Psychic Powers, Dreams & Divination. Beryl: Protects against Psychic Manipulation, Persuasion from TV/Music Mind Control. Bloodstone: Increases strength, Winning Capabilities, Best for Athletes, Lengthen Lifespan, Wealth, and Money. Cat’s Eye: Wealth, Healing, Beauty, Gambling, Protection, Youthfulness, Assyrians used for Invisibility. Chalcedony: Psychic Attack, Fear, Nightmares, Travel, Luck, Protection, Success. Coal: Money, Luck, Place with Money. Coral: Associated Metals - Silver & Copper, Soul Protection, Prevents Evil Spirits. Jade: Food charging, Money Attraction, Plants. Jet: Electrically charged once stimulated by rubbing or placed within Orgonite, Protective, Nightmares, Psychic Awareness, Maintains Correct Energy Flow Within The Body. Lava: Magical, Healing, Protective Energies, Face Lave in Eastern Direction, Protective Vibrations. Malachite: Detects Danger, Extra Energy during Magic, Healing Children, Traveller Guardian, Relaxation, Ensures Sleep and Good business deals. Mica: Psychic Control over Powers, General Protection. Moonstone: Associated with Silver. Attract Love, Works out problems with Lovers, Sleep, Travel Protection, Heighten Psychic Ability and Weight Loss. Obsidian: Protective, Grounding, Divination, Scrying, Subconscious Mind Access. Olivine: Protection, Wealth, Money, Luck, Associated with Gold/Lodestone. Onyx: Protective when facing Adversary/Battles/Conflicts against negativity. Reduces Sexual Appetite. Opal: Astral Projection, Develop Psychic Ability, Beauty, Money, Luck, Power, Linked with Invisibility, Increase energy/Power within body with Majid/Wiccan. Rhodochrosite: Extra energy during physical activities. Sapphire: 3rd Eye Stimulation, Consulting Oracles, Guardian of Love, Attunes Lovers, Return Negativity to Evil Sender, Promotes peace, Scare of Evil and Devils, Helps with legal matters if you are in the right, Increases power sending via Magic. Spinel: Boost Physical Strength, Spells to Attract Wealth. Staurolite: Good luck, 3 Former presidents carried it for elemental powers, Protection, Health, Money, Asteroid Stone, Links Spiritual and Physical planes, Represents four elements. Sugitite: Psychic awareness, Wisdom, Increase awareness of Spiritual World.